Chewing your food is the first step in the digestive process, small bites, small bites, small bites. When you chew your foods properly, it mixes with the digestive enzymes in your saliva, beginning the process of extracting the nutrients and other useful materials from the food you eat, while discarding the rest as waste. Chewing your food properly helps your body get the most out of the foods you eat, speeding up the digestion process, as well as creating less strain on the digestive track. All beef, poultry and fish are naturally acidic and for most of us, there is no need to cut these out of our diet, the key is to keep the portions small and reasonable and eat according to the 70 – 30% alkaline/acid ratios previously mentioned. 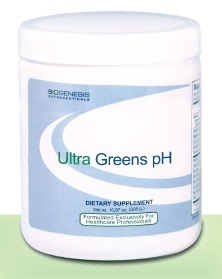 Another important step in balancing your pH… Get rid of the table salt and replace it with unrefined sea salt! Today’s table salt has nothing in common with natural, unrefined sea salt, which is the essential nutrient we are referring to. Unrefined sea salt, once sold for its weight in gold, is loaded with trace minerals, and is one of the most alkalizing foods on the planet. Table salt, on the other hand, leads the list of the most highly acidic foods we consume, and the Western diet includes a lot of it! Table salt is bleached, de-mineralized sodium chloride and with the exception of added iodine, table salt has zero nutritional value. Some of the benefits of unrefined sea salt include: stimulation of saliva, the balancing and replenishing of the body’s electrolytes, providing high resistance to infections and bacterial diseases, helping to balance alkaline/acid levels, helping to restore good digestion, greatly helping to reduce toxins in the body and supplying 82 vital trace minerals essential to cellular maintenance! Always drink plenty of water. Second only to oxygen, water is your body’s most important life source. Let’s make it even simpler: Poor hydration results in lower pH levels. So, how much water should you drink daily? You should drink between ½ oz & 1 oz of water for every pound of body weight. (E.g., A 150 lb woman should drink between 75 – 150 oz of water every day.) Most of us are not used to consuming this much water, so spice it up with cucumber and mint or juice from a lemon or lime. This will increase the alkalinity of your water. Also, if at all possible try to avoid tap water, purchase mountain spring water, or get a distiller or filter for your kitchen faucet to remove excess chemicals and metals that may be in your city’s water system. Investing in a high-quality multivitamin & mineral supplement can also make a difference; but remember, taking vitamins and mineral supplements will not make up for an unhealthy diet. Moreover, vitamins will always be an inferior substitute for nutrients from fresh fruits, vegetables, whole grains, and meats; but a general multivitamin and mineral supplement can be a very helpful safeguard and though we sell many options, the one we most recommend is Nutrient 950 by Pure Encapsulations. Nutrient 950 is a complete high- nutrient, bioavailable multi-vitamin, multi-mineral and trace element supplement. Nutrient 950 offers an advanced mineral delivery system and the highly desirable coenzyme forms of B vitamins designed for optimal absorption of the nutrients. In addition, it provides a high profile of free-radical scavenging antioxidants, this is a gentle, hypoallergenic formula that is well tolerated by sensitive individuals. Knowledge is the best weapon! One of the best things you can do for yourself is to do some thorough research of your own. To get you started, we recommend you read: The Acid- Alkaline Food Guide: A Quick Reference to Foods & Their Effect on pH Levels , by Susan Brown, PhD, CCN. There are many other pH books available, as well as loads of information accessible online and most have some very helpful information. However, “caution” is the keyword, there is also a lot of bad, as well as conflicting, information out there, you may have to conduct a bit of research and some personal experiments before you are comfortable embarking on this new way of eating. Once you undertake this adventure, you will soon begin to feel the effects of a healthier you.